Have you ever woken up with a sudden jolt just as you were falling asleep? Maybe it felt like an arm or leg had a sudden involuntary spasm? Perhaps you’ve even woken up feeling like you were falling, or with a flash of light or loud noise. 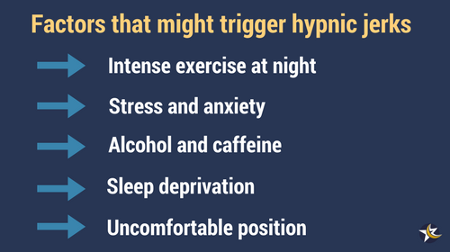 If any of these sound familiar, it could be that that you’ve experienced hypnic jerks. 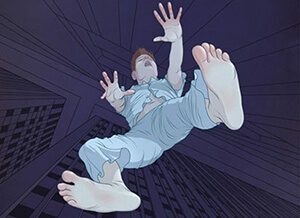 In most cases, a hypnic jerk or two is a harmless part of the process of falling asleep, and not a sleep disorder. But if they regularly disturb your sleep or happen very often, it might help to speak to a healthcare professional. You’re not alone in experiencing this strange sensation at night. Italian researchers suggest that between 60% and 70% of people experience hypnic jerks at some point in their lives – both men and women, and of all ages. I regularly have hypnic jerks myself – especially when I’m extremely tired or have been to the gym late in the evening. If I’ve had a late gym session at the end of a particularly hard day’s work, they are almost inevitable. Personally, I don’t worry about them, and see them as a sign that some much needed sleep is just around the corner. Myoclonic jerks (a myoclonus is an involuntary muscle twitch – hiccups are another harmless example). Sleep starts, also known as hypnic jerks, are sudden, brief, simultaneous contractions of the body or one or more body segments occurring at sleep onset. Sleep starts (or hypnic jerks) usually consist of a single contraction that often affects the body asymmetrically. 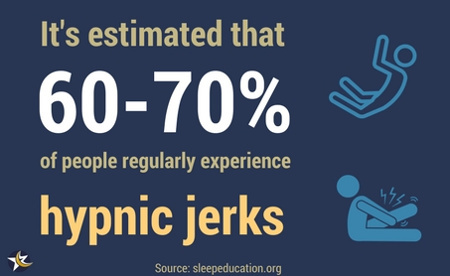 The jerks may be either spontaneous or induced by stimuli. So the fact that they often occur asymmetrically explains why it might feel that just one arm or leg jolts. They can occur independently, or in response to an external stimuli in the bedroom, such as your partner moving or external noise. Hearing a sudden noise, such as an explosion. This could also be what’s known as exploding head syndrome. In addition, some people might notice a physiological response, such as faster heartbeat or breathing and sweating. 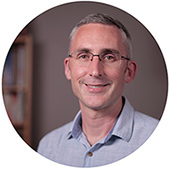 I conducted a short survey for readers to share their experience of sleep starts. The results will be biased because people voting were already searching for information about the topic. But with thousands of people participating, the results still provide some interesting insights. 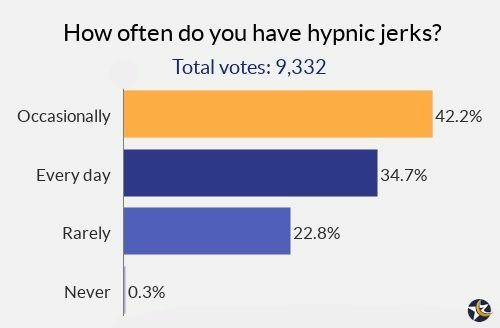 In the chart below you can see how often readers experience hypnic jerks. It’s interesting to note that many people who came to this article have them on a daily basis. Question 2 shows that many people are able to sleep fine after an episode. And that’s in line with the general medical advice – try not to stress about them, and go back to sleep. 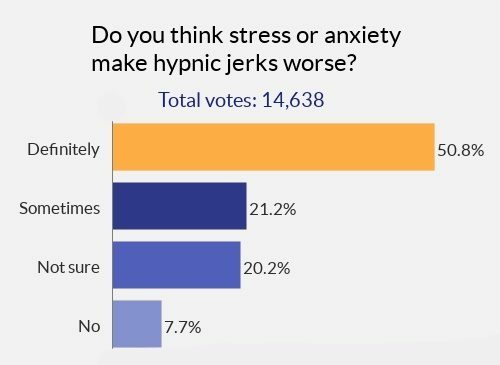 The final question shows that many people feel stress or anxiety makes their hypnic jerks worse. This is also a factor which appears many times in the comments below. So it could be that tackling stress or anxiety in your life is a good idea if it’s relevant to you. As is often the case in the complex world of sleep, the exact cause still isn’t completely understood. 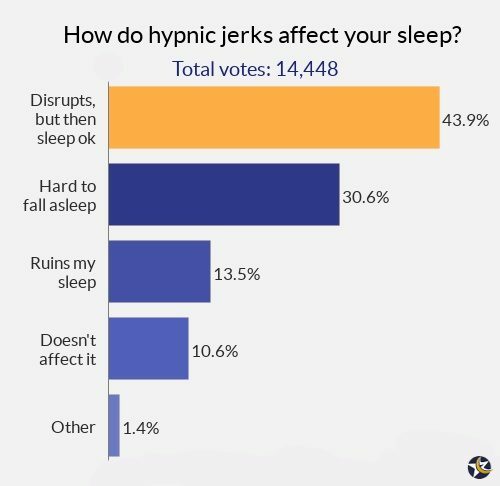 Hypnic jerks are hypothetically caused by sudden descending volleys originating in the brainstem reticular formation activated by the system instability at the transition between wake and sleep. Is it caused by another condition? A review of hypnic jerks literature by researchers at the University of Alabama raised an important point: hypnic jerks could in some cases be a characteristic of another condition. In addition, Italian researchers in 2016 found that hypnic jerks are common in people with Parkinsonism. The Alabama team also suggested it could be helpful in diagnosing the condition. Finally, don’t confuse sudden wakings from hypnic jerks with sleep apnea. If you, or someone you know, wakes suddenly gasping for breath, this should be discussed with a doctor. Most sleep experts advise that hypnic jerks are in most cases nothing to worry about; just relax and go back to sleep again. However, if you have them regularly and/or severely, you might want to raise it with your primary care doctor. If they think it’s a sign of another disorder, they might ask you to do a sleep study or further tests. They might also offer to prescribe medication to reduce the frequency and give you advice about adopting more healthy sleep habits. It might not be possible to totally stop them from happening. Accepting them as normal and harmless is perhaps your best option if they aren’t severe. Cut down on caffeine, nicotine and other stimulants – especially in the evening. Reduce how much intense work or exercise you do in the evening. Do exercise in the morning or afternoon instead. Use a comfortable mattress and bedding. Sleep in a comfortable position. If you suffer from anxiety or stress, do relaxation exercises in bed. One simple breathing exercise is to inhale for a count of 4, hold for 4, then exhale for a count of 4. Try not to allow yourself to get too tired. You may understandably have a busy and tiring lifestyle. But it’s important to give yourself enough time to sleep well. Hypnic jerks can trigger a vicious cycle of worry if you become fixated on them. If you worry about hypnic jerks, you might start to get less sleep and become more fatigued. But both anxiety and fatigue are thought to contribute to the frequency of hypnic jerks, and so a vicious cycle begins. The key is not to allow the occasional sleep start to disrupt your sleep any more than it has to. Try to relax, forget about it and go back to sleep. In the comments below, many readers have offered suggestions for reducing their hypnic jerks. So I’ve compiled a list of the most common and interesting ideas. They don’t all have medical backing, but you might find the ideas useful if nothing else has helped. Try to see the funny side. Magnesium supplements have been helpful for some readers, as has rubbing magnesium oils or transdermal magnesium into the area where you most commonly twitch. One suggestion was to get a blood test to check if you have a deficiency. Assess your current diet. Make sure it’s healthy and balanced. Eat less sugary and salty foods. Eat plenty of fresh fruit and vegetables. Don’t drink alcohol, coffee or energy drinks for a week and see if it improves. Don’t stress about it, as worrying makes it worse. Try to deal with major stress in your life. If you suffer from anxiety, take steps to tackle this in your daily life. Drink cayenne pepper tea (I suggest doing some research into this first). Make sure you get enough calcium in your normal diet, or take supplements. Stop doing strenuous exercise for a week and see if it improves. Try to see them as a sign that you must be falling asleep. So it’s a positive thing as you know you’ll soon be asleep. Ask your doctor if any medication you take could be causing it. Check if medication you’re taking has the side effects of myoclonus – a surprising amount do. Stop taking sleep aids or allergy medication containing anti-histamines, which might cause twitches. Sleep in a different position from your back – one suggestion was that the fetal position can help. Don’t go to bed late at night. Film yourself sleeping or use a sleep tracker. One reader said he discovered through doing this that he was snoring, and that the hypnic jerks occurred while he was snoring heavily. Some female readers feel that it can be connected to hormonal changes. Ask for a referral to a sleep clinic if it’s particularly troubling. Ensure you have a quiet sleeping environment. It could be a sudden noise which startles you awake. If you’re being bothered by them repeatedly, get up and do something relaxing for 10-20 minutes, then try to sleep again. Have a light snack before bed. And if they occur repeatedly, get up and have a light snack. Have a warm shower before bed. Then do relaxation exercises before getting into bed or while in bed. If you do exercise, it could be excess lactic acid contributing to hypnic jerks. So try looking into ways to reduce the lactic acid. Try apple cider vinegar. It’s used as a hiccup remedy, so might help with hypnic jerks too. It’s always interesting to hear your experiences, and I know many readers have benefited from reading the stories and advice of others. So please keep your comments, tips and theories coming. And if you have any practical ideas for dealing with hypnic jerks, I’ll continue to add them to the list.